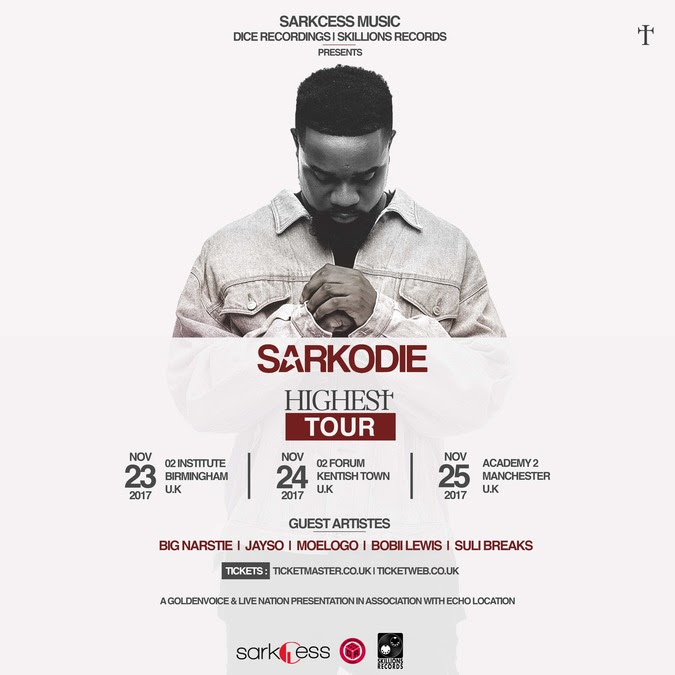 Following the successful release of his fifth studio album Highest which dominated iTunes album charts around the world, Sarkodie is proud to announce that he will be embarking on the UK nationwide ‘Highest’ tour in November, with some special guests including Big Narstie, Jayso, Moelogo, Bobii Lewis and Suli Breaks. 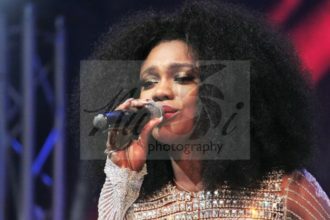 The nationwide tour, presented by Sarkcess Music and Dice Recordings, in conjunction with Live Nation, GoldenVoice, and Echo Location, will see the legendary Ghanaian rap star headline the O2 Institute in Birmingham on November 23, before heading to London to headline at the O2 Forum Kentish Town on November 24, and rounding up the tour in Manchester, headling Academy 2 on November 25. 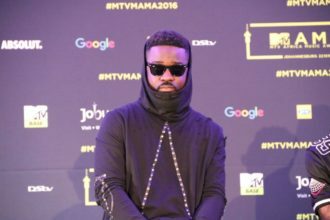 In other news, Sarkodie, who released six music videos on the same day as his Highest album all at the same time, in an unprecedented move that was first of its kind for any African artist, is already gearing up to release his next music video from the Highest album, for early fan-favourite ‘Far Away‘ featuring Mavin Records’ very own Korede Bello. You can watch the behind-the-scenes footage from the upcoming visuals here. 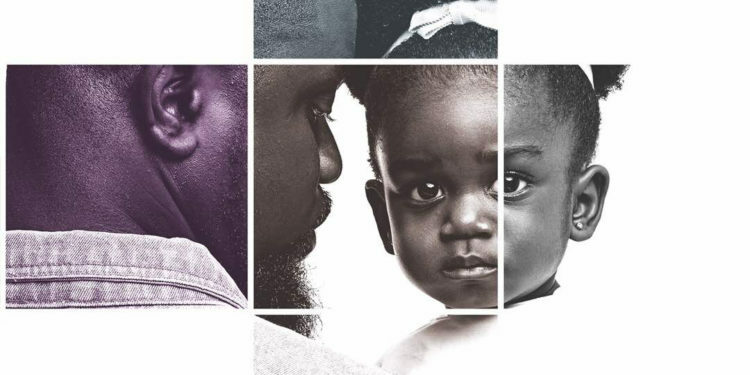 Tickets for Sarkodie’s ‘Highest’ UK tour are now available via Ticketmaster here. Sarkodie’s Highest album is out now via Sarkcess Music and Dice Recordings, purchase it here.